પ્રેરક અવતરણ : મનમાં નિર્ભયતા ને મૂકિત હોય તે જરૂરી છે. મૂળ ભારતીય, થડ ગુજરાતી, શાખા બંગાળી, પાંદડાં અમેરિકન. વતન અમદાવાદ, વસવાટ ન્યૂયોર્ક અને વ્યવહાર સારી દુનિયા સાથે. આચાર પોર્વાત્ય, વિચાર આધુનિક અને વર્તમાન વટેમાર્ગુ જેવું. લેખન, ભ્રમણ, વાંચન, ચિત્ર, છબીકળા. સર્વપ્રથમ મૌલિક પ્રકાશિત કૃતિ – સ્કૂલના સમયમાં પ્રવાસલેખો પ્રગટ થતા. સોનામહોર શા ખનકતા સૂરની સ્વામીની “મ્હોર્-દિ” કનિકા બેનર્જી સાથે પ્રીતિએ સમુહગાન કર્યુ છે. અમદાવાદમાં રવીન્દ્ર સંગીત અને બંગાળી શીખ્યાં છે. 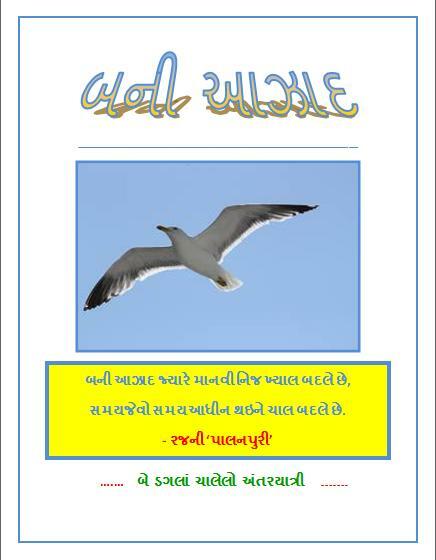 ચીર પ્રવાસી – પતિના ખર્ચે ! – 104 દેશોના પ્રવાસ કર્યા છે. ગુરુ , કર્મકાંડ માં શ્રધ્ધા નથી. યાદગાર અકસ્માત – ૧૯૮૯માં એન્ટાર્કટિક સમુદ્રના પાણીમાં વહાણ તુટ્યું, ને ડૂબવા માંડ્યુ.દક્ષિણ ધ્રુવ પ્રવાસમાં જહાજ તૂટી પડતા ટ્રાન્સપ્રેરન્સિઝ, સામાન સમત તણાઈ ગયો, માત્ર પ્રાણ બચ્યો તો પ્રીતિની પ્રવાસપોથી યાદથી અકબંધ રહી શકી. આકાશવાણી પર કાર્યક્રમો આપ્યા છે. tame kharekhar gujarat saraswat parichay api ne khoob moti seva kari chhe.atali vividhata computer upar paheli vkhat vanchi. khoob maja aavi. roj ak pachhi ak topik kholi ne besi jaun chhun. gujarati type aavadtu nathi tenu khoob dukha chhe. IS SHE THE GUJARAT COLLEGE STUDENT FROM AHMEDABAD? MY WIFE SAID,”WE MET HER IN 2006 IN THE MUSIC EVENING with VIBHABEN,RASBHAI DESAI. we want to meet her in person, when ever she is at ahmedabad.we are based at baroda. she told us she is 45 years old, only today i found the secret she is 65! besides, her writings are as good as sleeping pills. ઝાંબિયા તમે યાદ કર્યું, વર્ષો સુધી ત્યાં રહી હવે યુકેમાં સ્થાયી થયા. પ્રીતિબેન આપને શ્રી રમેશભાઈ પટેલ – મંદિર રેસ્ટોરન્ટ, લંડન મારફત ઓળખવા કોશિશ કરીશ. i have read yr tavelouge book all. We are interested in your publication Sambandh ni rutuo japanni Pravas Gatha. Please send details of us. we are so proud of you and i suggest all our gujarati travelouge Lovers to suggest Preetyben’s name for Padmashri award. plz guide people like me..we people really thank full for you life time..
thank you… we are really proud of you..
We are regular reader of your travel experience in Divya Bhaskar Gujarati. I am also a Traveller and my travelling to other destinations is just started. I would like to know if you have travelled to BHUTAN. I am planning to travel there shortly. So It will be interesting to read your travel experience in BHUTAN. Your travelling experience is wonderful as I read in DivyaBhasker now & in other magazines earlier.Waiting for an opportunity to meet in person as & when you will be in Ahmedabad conveniently. Thanks. i am heerva shah.and i am a student of M.Phil English dept from Kadi Sarva vIshw Vidyalaya,Gandhinagar. i am very much impressed by your articles in ‘Yatra’ in Divya bhaskar. and i want to go further in your work. but i found little difficulties in finding your books which are trnslated in English. so,could you guide me where can i find your translated books in english in ahmedabad or on any website. i am waiting for your reply… thanks. i m simple purly gujjju girl and also AMDAVADI as like as u…!! well, i have not read any of yr travel related books, but i wish when ever i get time i will mange for that. [please hasta nahi- bahu english aavdtu nathi]. mane tamari kavita bahu game chhe …. MAM I AM DEEPLY IN LOVE WITH TRAVELLING. MAM I WANT TO TRAVEL A WHOLE WORLD LIKE YOU AND I WANT TO MAKE MY CARRIER IN IT. છેલ્લા કેટલાય સમય થી “યાત્રા” કૉલમ વાંચતો આવ્યો છુ… આપના લેખ વાંચતા વાંચતા , ઍમ લાગે જાણે હુ પોતે તે સ્થળે પ્રવાસ કરી રહ્યો છુ..
મેડમ , જો આપ બ્લોગ લખતા હોવ તો તેને લાગતી માહિતી આપવા વિનંતી…!!! i have tried to search Facebook account, but i coudnt find it…!!! if we can get your facebook account to follow you , we can enjoy such good places through your experiences…. Navu janava aapano blogj madadrup thai pade. Maja aave chhe ane gnyan bhookh santoshay chhe. proud of her–Gujarat and I feel myself not just lucky but Dhanya when I had chance to serve her in 2003 in Ramona Motel Ca during Sahitya Sabha. God bless her good health and spirit too.